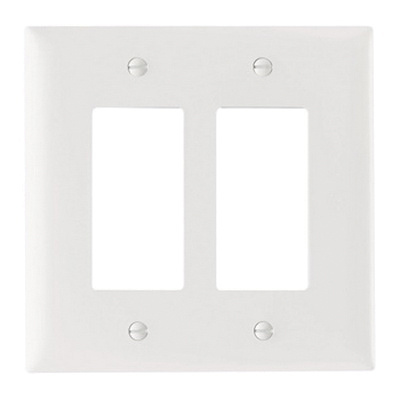 Pass & Seymour TradeMaster® 2-Gang Jumbo/oversize wallplate in white color, features rugged nylon construction. Square wallplate measures 5.125-Inch x 5.0625-Inch x 0.070-Inch. Screw mountable wallplate has two decorator configuration. It is suitable for hospital, industrial, institutional and other high-abuse applications. Wallplate is cULus listed and RoHS compliant. * Inventory displayed is accurate as of 04/22/2019 12:40 EDT.